2. 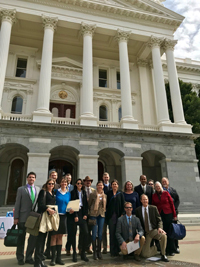 Contact your Senator and Assembly Member with a quick message about why this new funding for CDFA to address invasive plants is important in their district. If you know who your legislators are, go to their webpage and use the form there (or give them a call) to submit your comment. Here is a site where you can find your legislators. Thank you for partnering to address invasive plants in California!